In her performances and throughout her life, Suni Paz has deftly combined her message of cultural awareness and personal awakening with an unshakable optimism. As part of the progressive Latin American music movement known as nueva canción (new song), Suni has created music with a conscience out of her commitment to social justice and passion for education. She believes in the power of music to connect people through their shared histories: "There is a connection among human beings, at least I believe that... and our connection comes from the roots. It's like we have the same water in our roots. Eventually we will recognize each other in the songs." Suni is a singer, composer, writer, educator, social activist, and pioneer in the use of music to teach Spanish-language curricula. She is a prolific artist who has performed at community centers, public libraries, hospitals, schools, rallies, marches, festivals, and on concert stages in North America, South America, and Europe. In 2003, Suni was awarded the Magic Penny Award by the Children's Music Network. This award recognizes those who have made an outstanding lifetime contribution to children's music, and past winners include fellow Folkways recording artists Woody Guthrie and Ella Jenkins. Suni Paz was born in Buenos Aires, Argentina, into a large, highly educated, and tightly knit family of writers, poets, musicians, and intellectuals. Music was central to Suni's family. She first felt the transformative, healing power of music through her grandfather, a doctor and violinist who would play the violin for his patients for half an hour before their appointments. Suni would come into the waiting room and lay her head on his patients' laps, drinking in the sound of his violin. Her father was adamant about the musical education of his children and held mandatory opera appreciation sessions every weekend. The children gathered around the record player as he played German, French, and Italian operas and explained who was singing and what was happening. Suni could not leave the house until she had had her weekly dose. She started singing when she was a child and began playing guitar at age twelve. Her father taught her three chords, and she used these chords to play and compose tangos and love songs known as boleros. 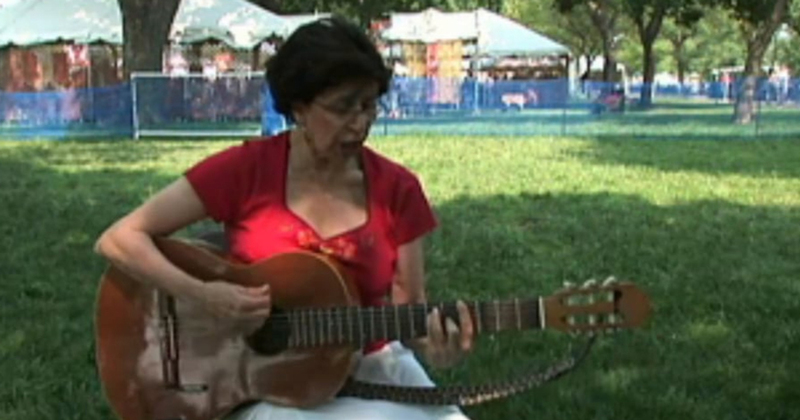 Suni would bring her guitar to the peñas she attended with her family and mimic the movements of the guitarists. During breaks, the musicians taught her the parts she did not know. Peñas are musical gatherings held in public spaces, often restaurants, where musicians and community members play, sing, and dance. Peñas emerged in the 1940s after World War II and were integral to the revival of Latin folk song in the 1950s. When Suni attended peñas with her family, the music was about love and romanticized landscapes. As the social and political climate in Latin America changed in the 1950s and 1960s, the nonpolitical musical repertoire changed into a highly expressive form of music and community activism. Suni was profoundly influenced by the music of the peñas and the movement emerging there, known as nueva canción. Nueva canción combined Latin American folk with a social, often political, message. It flourished in South America, especially in Argentina and Chile, where it was most popular. In the mid-1960s, against a political backdrop of unstable governments and fighting, artists began to revise traditional songs and musical forms, such as the Chilean cueca and the Argentinian baguala, in an effort to revitalize populist music. They believed that they could foster national and continental solidarity through music and used nueva canción to increase awareness of the dire living situations of many people in their countries. As the movement grew, it became not only a voice calling for political awakening but also a vehicle for beautiful poetry and fine musicianship. The music of nueva canción greatly impacted Suni. Once she heard the Argentinian musician Atahualpa Yupanqui play, her music changed forever. His music spoke of the world of the fieldworkers, miners, cattle herders, and peasants of Argentina, a world beyond Buenos Aires and unknown to Suni. Atahualpa's music made her think, and once she began to think about what he expressed in his music, she began to change. Suni performed nueva canción music before it was known as nueva canción, but she rejects this label. She prefers "music with a conscience," or música con conciencia, because it better describes the motivation behind her music. A person's conscience informs their sense of right and wrong, and it becomes that person's responsibility to be aware of what is happening around them and to act upon what their conscience tells them is right and just. This puts an emphasis on the learning process and on the awakening of social consciousness that occurs within each individual. In 1960, Suni moved to Chile with her husband and two young sons. Upon her arrival in Santiago, Suni witnessed barefoot and barely clothed children running in the snow who were so cold they looked blue. She was shocked by the poverty, and her observations and growing political awareness forever changed her music and lyrics. Suni moved to the United States in 1965 as Chilean politics became unbearable for her and her children. In Southern California, she worked as a university research assistant but began to miss singing terribly. She started singing in local public schools and had a vision of teaching the curriculum through song. She tested her idea in a classroom, and the children were fascinated, as were the teachers. Suni began using the medium of song to draw comparisons between cultures, regions, and peoples. She believes that anything can be taught through song— math, science, literature— and through music she communicates the importance of heritage and cultural roots to both children and adults. Music and teaching have merged seamlessly in Suni's work for Smithsonian Folkways Recordings. Her first album, produced by Paredon Records and now a part of the Smithsonian Folkways collections, is titled Brotando del Silencio—Breaking Out of the Silence. Recorded in 1973, Suni says, "It was a breaking out of the silence because it was the first time there was a speaking of what was in my consciousness and saying there are certain things there are not possible, there are certain things we have to look at, and think about." 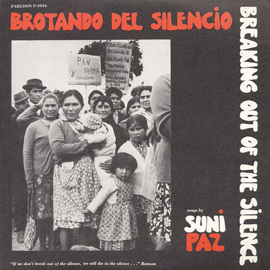 In the 1970s, Suni sang in support of the United Farm Workers movement, dignity and freedom for Latina women, amnesty for Latin American political prisoners, and education for Latino children in the United States. 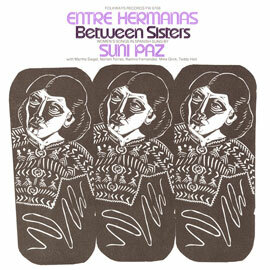 She contributed a Latin American voice to the Women's Liberation Movement of the late 1960s and 1970s with the release of her album Entre Hermanas: Between Sisters—Women's Songs Sung in Spanish on Folkways Records. Both Brotando del Silencio and Entre Hermanas were aimed at raising the consciousness of adult audiences, but Suni incorporates this focus into her children's albums as well. She urges the importance of awareness and self-awareness for all people, especially children. She believes that we must teach children who they are because they have the right to know about their traditions and roots. Knowledge of their culture will encourage pride in their heritage and inspire them to build upon these traditions. In ALERTA Sings & Songs for the Playground/Canciones para el recreo, a combination of two previous recordings, Suni plays music from Latin America and the Caribbean that encourages children to actively respond to music by clapping their hands and playing games. 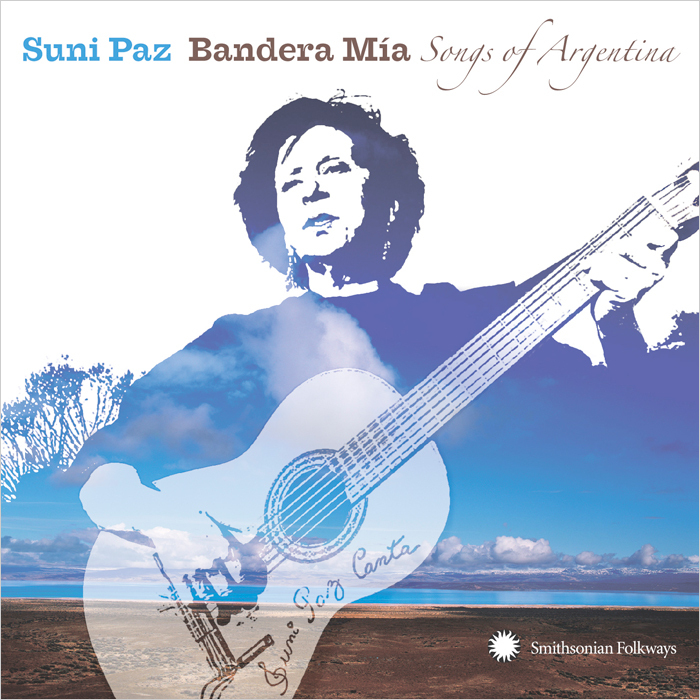 Songs from Argentina and Chile celebrate Andean regional music traditions, and Suni's use of them exemplifies her interest in sharing the richness of her home country and the music movement that nurtured her development as an artist. Suni's latest album is a tribute to Argentinean music, culture, and people. It is a reflection both of her love of Argentinean folk and dance and of her involvement in the nueva canción movement. Like the artists of the 1960s and 1970s, Suni infuses traditional musical forms such as the Bolivian carnavalito and Argentinean bailecito with her own creativity and vision. 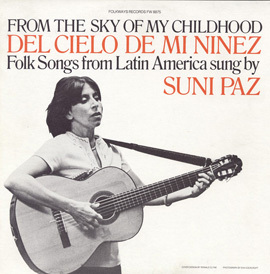 In all of Suni Paz's music, especially in her children's recordings, Suni urges listeners to learn about their culture. She believes that in the absence of culture and language, communication is lost, along with identity. Music, especially music with a conscience, has the extraordinary ability to transform people by touching their souls. 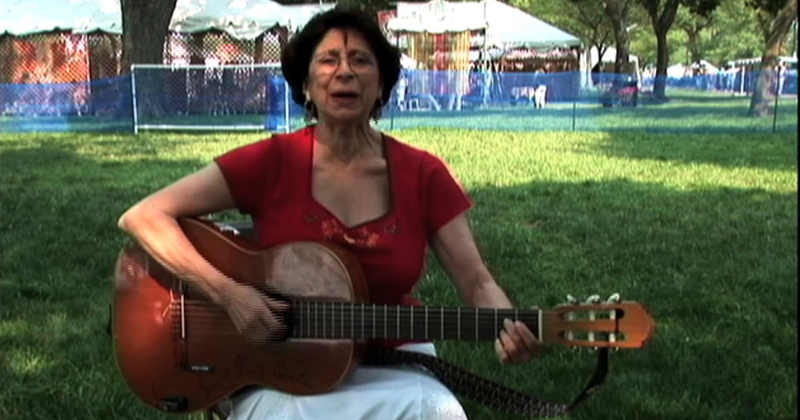 Whether she is teaching, singing, or playing the guitar, Suni Paz succeeds in touching the lives of those who experience her work with her message of self-awareness, cultural embracement, and hope.